Cristina Elisabet Fernández de Kirchner (born 19 February 1953), known as Cristina Kirchner and often referred to by her initials CFK, is an Argentine lawyer and politician. 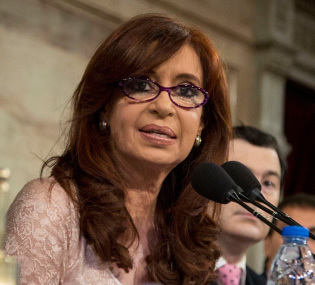 She was the President of Argentina from 2007 to 2015 and she is the widow of former president Néstor Kirchner. She was the second woman to serve as President of Argentina (after Isabel Martínez de Perón, 1974–76), the first directly elected female president and the first woman re-elected. A member of the Justicialist Party, Fernández served one term as National Deputy and three terms as National Senator for both Santa Cruz and Buenos Aires provinces. Born in La Plata, Buenos Aires Province, Fernández is a graduate of the National University of La Plata. She met her husband during her studies, and they moved to Santa Cruz to work as lawyers. In May 1991, she was elected to the provincial legislature. Between 1995 and 2007, she was repeatedly elected to the Argentine National Congress, both as a National Deputy and National Senator. During Néstor Kirchner's presidency (2003–07), she acted as First Lady. Fernández was chosen as the Front for Victory presidential candidate in 2007. In the October 2007 general election, she obtained 45.3% of the vote and a 22 percentage point lead over her nearest rival, avoiding a runoff election. She was inaugurated on 10 December 2007, and was re-elected to a second term in the first round of the October 2011 general election, with 54.1% and 37.3 percentage points over the next candidate, Hermes Binner. 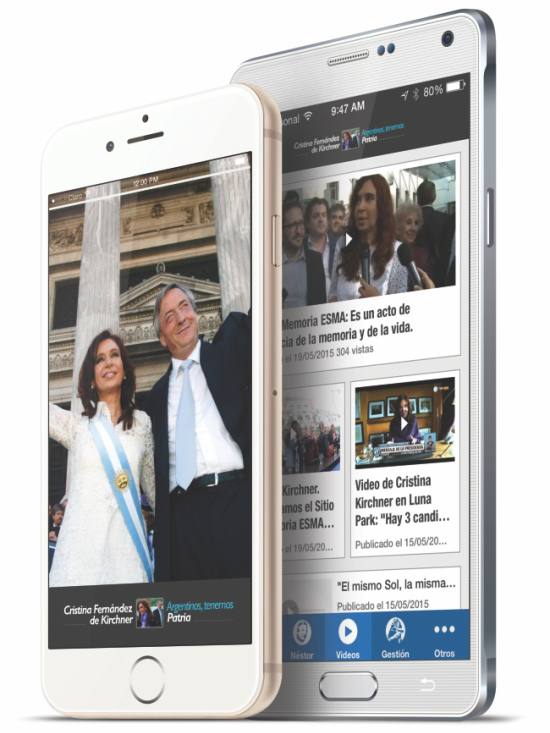 Fernández de Kirchner's critics and political opposers have claimed her administration exhibited numerous cases of corruption, crony capitalism, falsification of public statistics, harassment of Argentina's independent media, and use of the tax agency as a censorship tool and use of public funds to attack political opponents. The election of the right wing politician and former businessman Mauricio Macri in November 2015 as President of Argentina was said to bring an end to the Kirchnerismo movement in the country; nevertheless, Kirchnerismo's popularity remain strong generally, as well as Fernández de Kirchner herself.